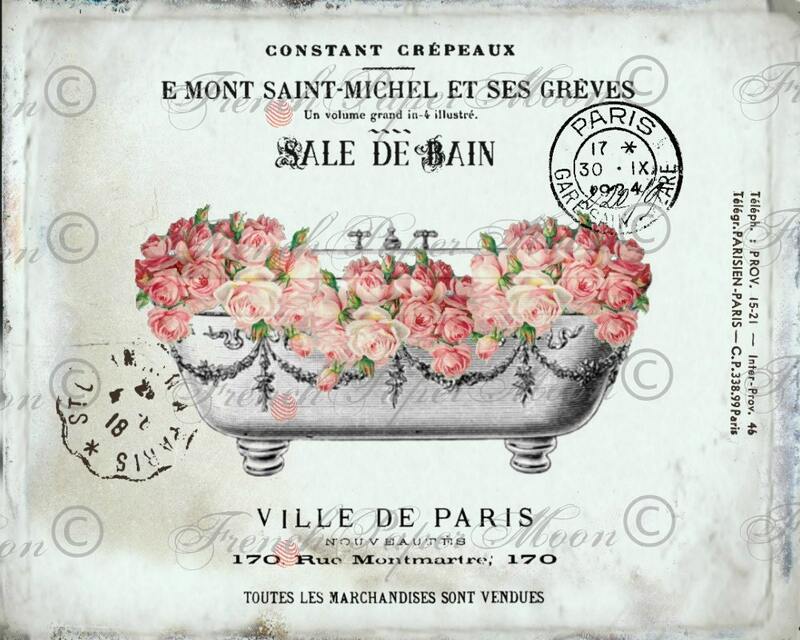 This is one of my favorites :)) Gorgeous vintage French Typography Salle De Bain, bathtub with roses, perfect for your French Décor and paper crafts. 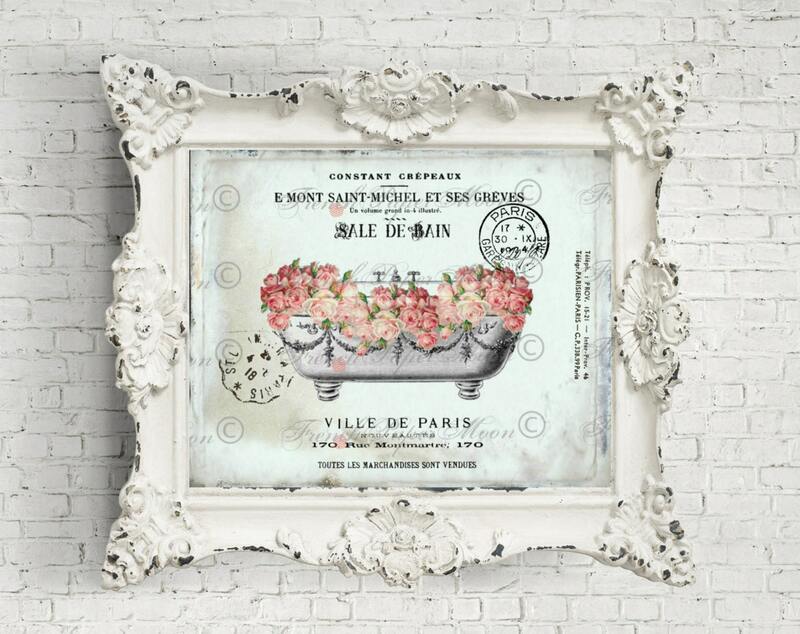 2, 8x10" JPEG images, one reversed--watermark removed! Selling of the image as it is in large size for prints is not allowed.